Our aim is to have the very best of relationships with all our clients. Happy tenants make for happy landlords and we work hard to make sure all parties enjoy the tenancy. We are introducers for One Broker who offer a variety of insurance products designed specifically for the lettings market. Click here to obtain your landlord or tenant home insurance quote. We’ll always say if we don’t know… and then do our best to find out! …and we make great coffee while you browse or chat in a relaxed atmosphere! If you would like to speak to someone about renting a property through Sowerbys, or have any questions then please get in touch with one of our Lettings Team. Sowerbys has partnered with the UK’s fastest growing deposit alternative flatfair to offer deposit-free renting on many of our properties. When you become a member and enter into the scheme, the need to pay out for a deposit is replaced with a simple, one-off membership fee worth just 1 week’s rent at your desired property (split between the household). This can potentially save tenants thousands. Any lawful claims are then payable at the end of the tenancy and you will have direct access to Independent Dispute Resolution. So you've found a property you love, you've viewed it and now want to apply to become tenant. What are your next steps? 1. If you wish to apply, please contact us by phone as soon as possible on 01362 693560. We will take you through the pre-application form. We will then contact the landlord to confirm they are happy to proceed. Once everything is agreed we will take payment of the application fees from you. Each applicant aged 18 or over will need to be referenced. Once payment has been made we will e-mail you the link to complete your referencing form online. If you do not have internet access the referencing agency can contact you direct to complete the application form. A comprehensive credit search will be carried out against each applicant, you will be required to give contact information for your current landlord, your employer, your accountant (if self-employed) and may be asked to prove savings if necessary. Failure of referencing due to non-disclosure of relevant information leads to a forfeit of all referencing and administration fees. Once you have passed your references you will need to sign the tenancy agreement and other related documentation. You will be required to pay the first months rent and deposit at least three working days prior to the tenancy starting. Payment must be in cleared funds i.e. cash or card payment. You have entered into a legally binding contract for a specified period. Rent must be paid monthly by standing order. Unless otherwise stated, you will be required to give one months notice from your rent due date, on or after your fixed term comes to an end. Should you wish to end the tenancy early you may be liable for payment of the full term of rent and utility bills or to pay all fees relating to the re-letting of the property. We’ve partnered with payment technology experts flatfair to offer tenants the option of deposit-free renting - it’s the simple, safe and affordable alternative to tenancy deposits. Many of our properties are offered through this non-compulsory scheme. If you’d like to know more, just speak to one of our agents. ● Healthier finances - rent smarter and avoid paying double deposits in between tenancies. ● Keeping it fair - full transparency into any claims made against you and stay protected through Independent Dispute Resolution. ● Pay when you leave - In the case of a lawful claim, simply pay at the end of your tenancy. ● Control on-the-go - Manage your membership through flatfair’s simple platform, from any device, 24/7. ● Build your cred - flatfair rewards tenants who pay their rent on time and care for their rented home. Instead of an expensive deposit, tenants pay atfair a small membership fee equal to the value of 1 week’s rent + VAT at the accommodation (split evenly between the household). 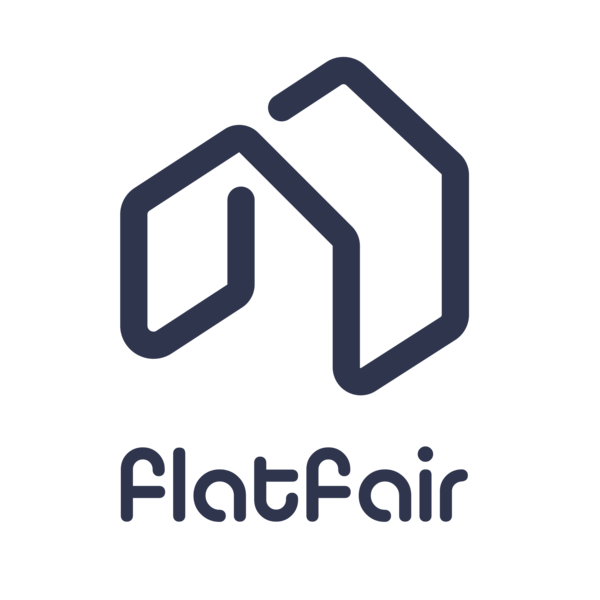 Your letting agent or landlord submits any proposed claims and evidence for your review through www.flatfair.co.uk after your tenancy has finished. You can counter any claims with alternative evidence until an agreement is reached. Should you or the landlord disagree about a claim, the claim will be resolved through Independent Dispute Resolution - following the same rules as the deposit schemes. flatfair will only charge you for any lawful claims after your tenancy has finished. Stick to your rental obligations, build up a strong flatscore and benefit from discounts when moving into your next accommodation. flatfair’s deposit-free scheme is also available to existing tenants who have a standard Tenancy Deposit at their current rented home. For more information, visit flatfair.co.uk/tenants, or speak to one of our agents. Rent payments can now be added to your credit history! We've partnered with the UK’s first and biggest rent reporting platform, CreditLadder. If you pay your rent on time and wish your rent payments counted towards your credit score, then now they can. We realise that for nearly all tenants, rent is their biggest monthly expense. What comes as a surprise for most people is that unlike on time mortgage payments, on time rent payments are not added to an individual’s credit score. A healthy credit history is vital for us all as it helps secure better deals on credit cards, loans, utility bills, and even mobile phone contracts.Our partnership with CreditLadder helps our tenants sign up for free and ensure that rent payments are added to every tenant’s Experian credit history. As a tenant you will simply need to register on the CreditLadder website. Your landlord/agent doesn't have to use CreditLadder as you pay the rent in the same way you usually would. Rent reporting is 100% free. CreditLadder always acts in full compliance with the Data Protection Act. CreditLadder uses bank-grade encryption and is members of the Information Commissioner’s Office (ICO, registration number 10074481) which is the UK’s independent authority set up to uphold information rights in the public interest, promoting data privacy for the individual. CreditLadder adheres to best practice for data protection and CreditLadder never store your bank login credentials.